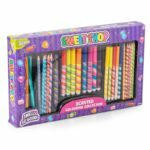 Bumper box of Scentos stationery including marker pens, pencils, paints and more. 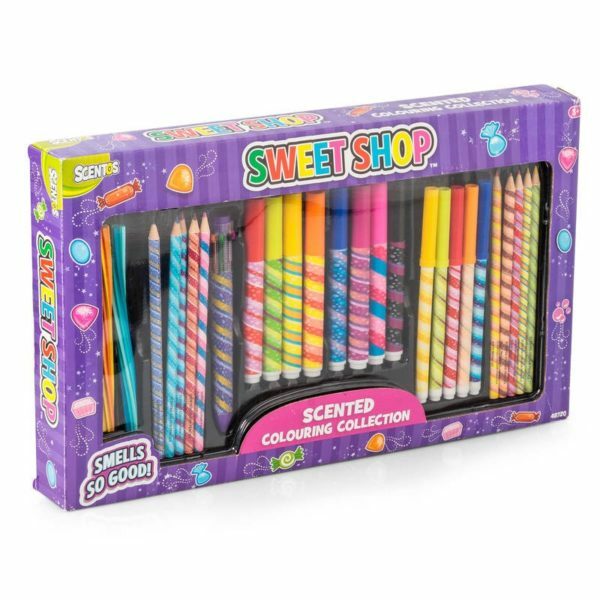 This large Scentos kit contains a diverse mix of stationery that gives off the scent of classic sweets when used. 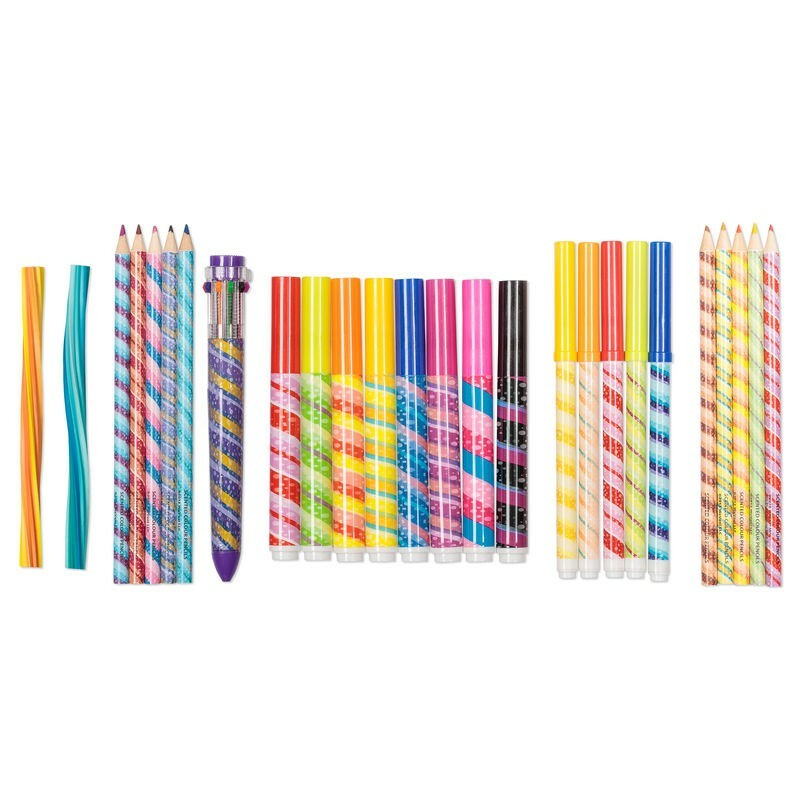 The box contains more than 25 pieces of scented stationery, making it a brilliant gift line as well as an easy way to re-stock stationery for the school year or the art box at home. Pack includes: 2 x sticker sheets, 8 x chunky markers, 5 x fine line markers, 10 x colouring pencils, 2 x erasers.